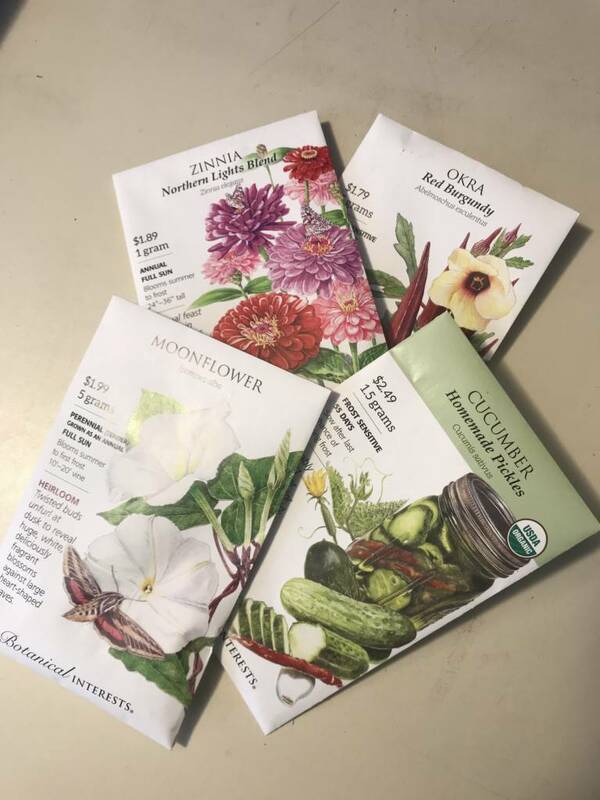 Fall Veggie and Flower Seeds…Try Some This Year! 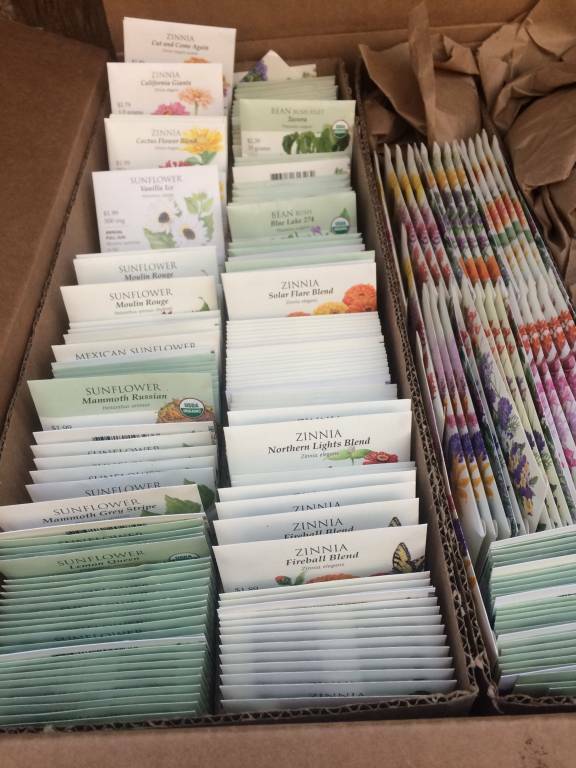 Planting seeds is a fun project! 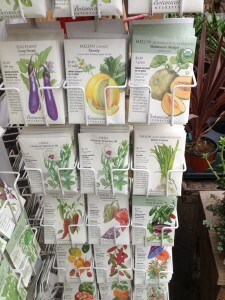 Our fall seed selection has arrived, and many folks have already been perusing the seed rack. 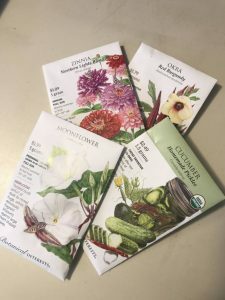 From radishes to radicchio, lettuces to larkspur, the selection is varied, and the package description on our Botanical Interests seed packets are fun to read too. 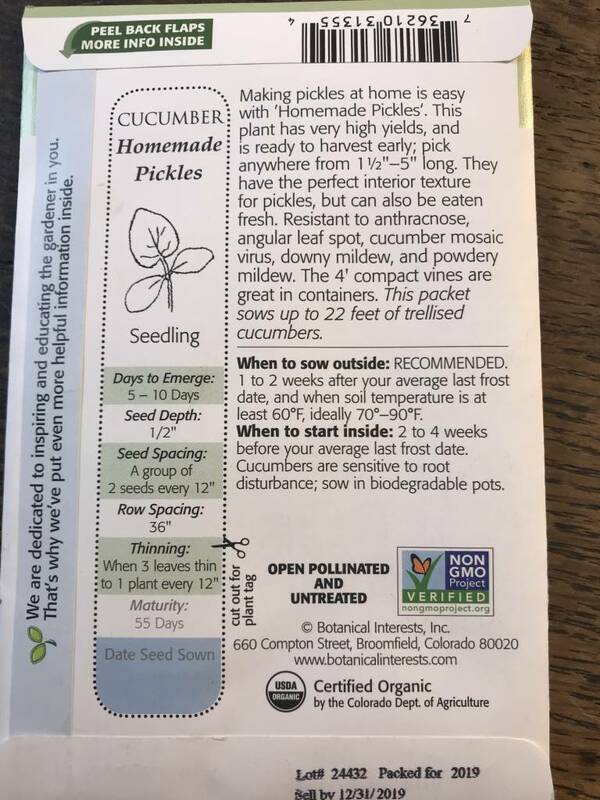 Additionally, I’m so pleased this company only supplies us with GMO free seed, which means none of this seed is genetically modified. If you’re planting seeds for the first time, be sure to read the instructions on the packet. 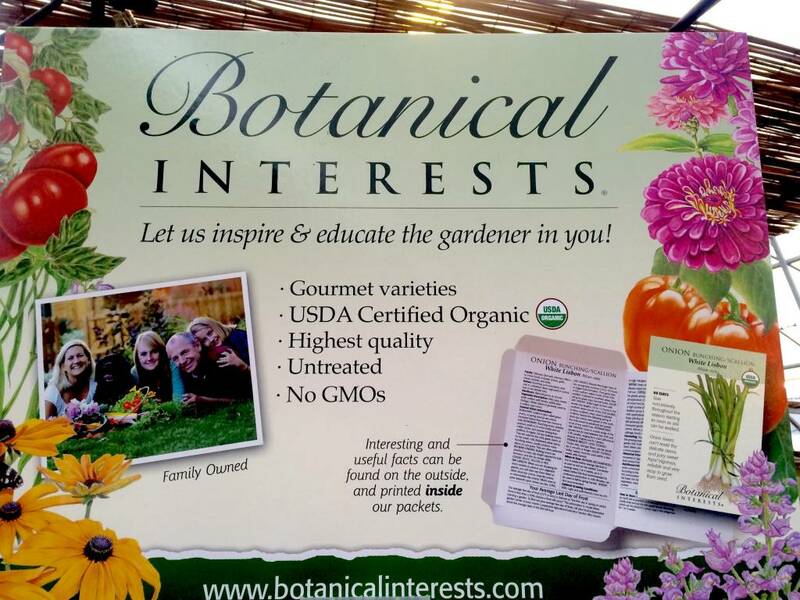 They’ll tell you how deeply to plant and how long it will take them to come up, as well as any other instructions you might need to produce a healthy plant. Remember, in Birmingham, our first average frost date is usually the beginning of November. 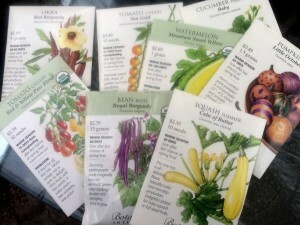 This will help you determine the latest you can plant certain seeds. 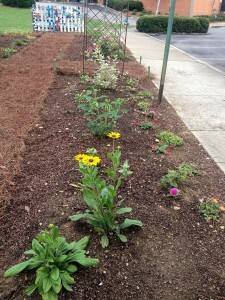 Prepare your garden bed by pulling any old vegetation out. 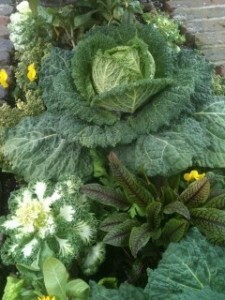 If you have a compost pile, everything but weeds can be put into it to decompose. 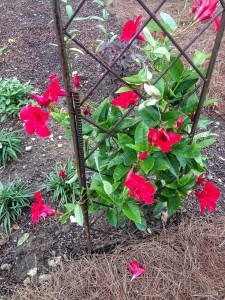 Next you’ll need to loosen the soil – a garden fork works well for this. Push the fork into the soil 7″-8″ and rock it back and forth to loosen it, being sure to break up any big clumps. Many gardeners try to keep turning up the soil to a minimum, since that can bring weed seeds to the surface, providing them the light needed to germinate. 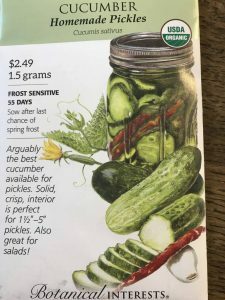 Next, add 2″-4″ of soil amendments (dehydrated cow manure, Plant Tone, soil conditioner and/or your own compost) over the top and lightly fork all of it in. Rake the top of your bed to even it out and you’re ready to plant! 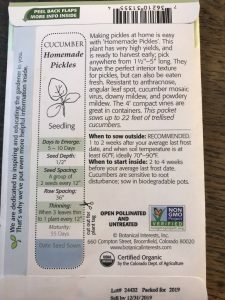 Watering your seed bed is important. If you’re sowing very tiny seeds, you may want to water the soil before planting. 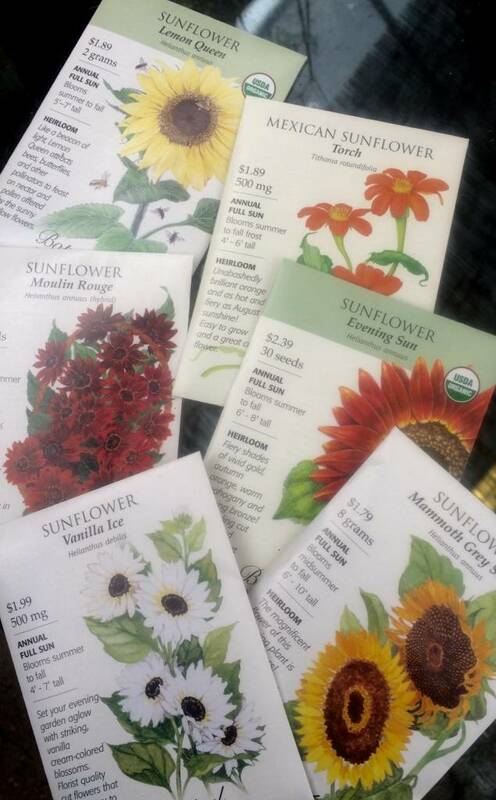 Once the seeds are sown at the proper depth, keep the soil consistently moist with gentle showers from your hose. Don’t get it too soggy or your little seeings may rot. 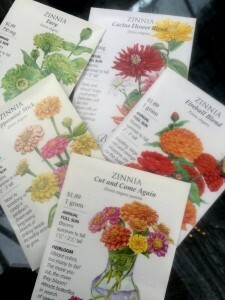 Seedlings of many vegetables and flowers benefit from being thinned. 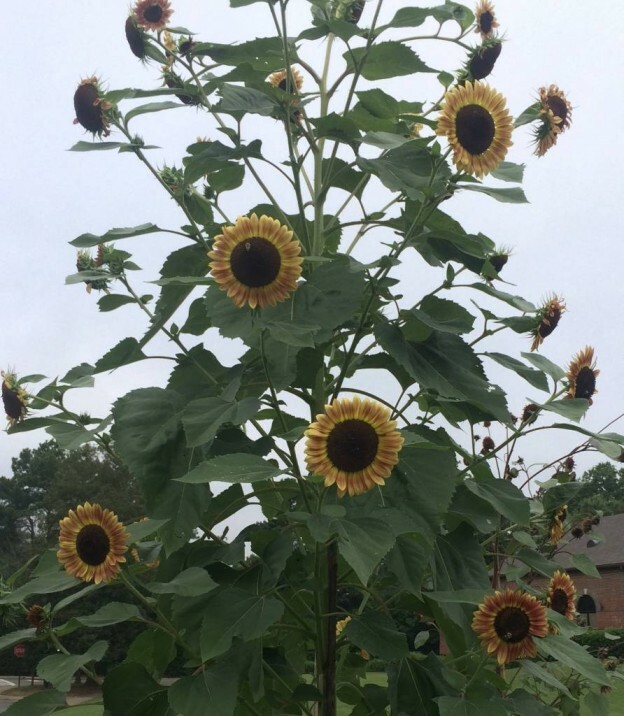 This term simply means taking out the smallest, weakest seedlings so one strong plant is able to grow large enough for you to eventually harvest. The easiest way to thin is simply to cut out the weakest with a pair of scissors, leaving the largest to continue growing. Talk about survival of the fittest! 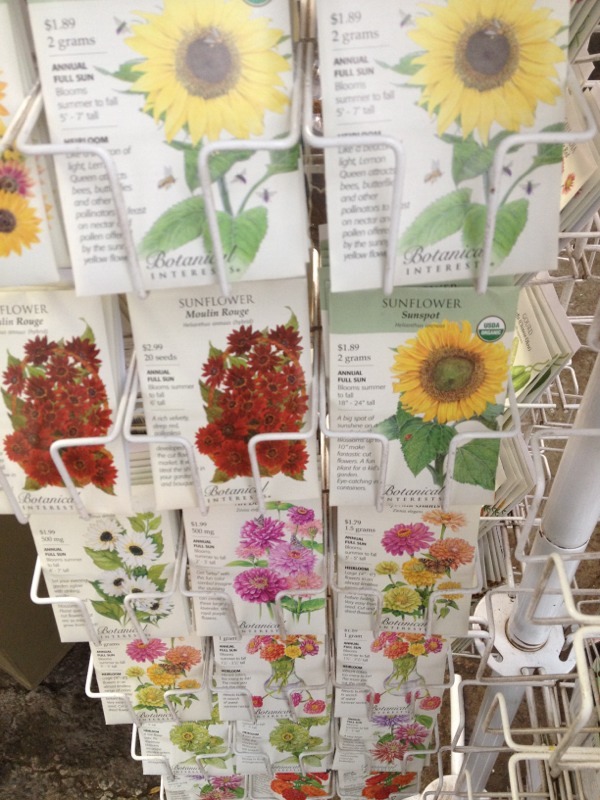 You could also tease the weakest seedlings out of the soil and replant in another area – the more the merrier! 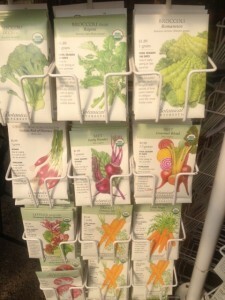 Some fall vegetable seeds we have include many lettuces, chard, beets, broccoli, mustard, spinach, turnips and more. 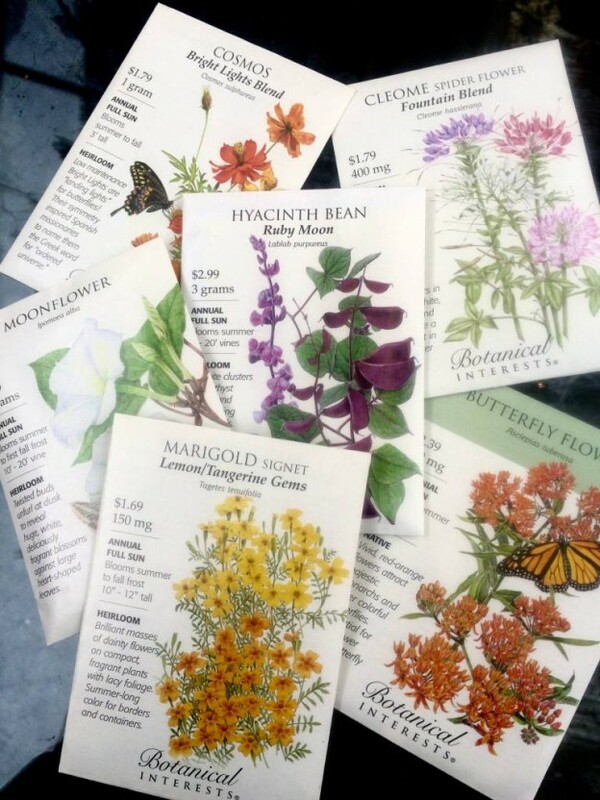 If you’d rather plant flowers, larkspur, delphinium, poppies and bachelor buttons are just some of the choices. 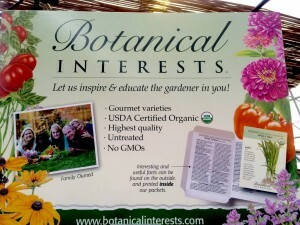 Doesn’t this sound like a fun and ultimately rewarding project? 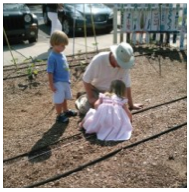 If you have children, find a spot in your yard for even a small garden, and start planting! This entry was posted in Flowers, Planting Tips, Project, Seeds, vegetable gardening, Vegetables and tagged fall flower seeds, fall vegetable gardening, fall vegetable seeds, planting seeds on September 10, 2013 by Kris Blevons.